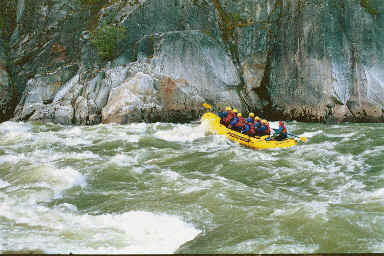 While on a school field trip, I found myself river-rafting through dangerous rapids near Squamish, BC. I had been assigned by my wife to accompany my youngest son on his school outing. My bottom-line assignment was to bring him back alive. Unlike certain adults, my son had no fears of drowning. In fact, his greatest delight was to jump into the icy-cold river not once but three times in a row. It left me feeling that perhaps I should sign him up for a junior life-saving team! Two weeks later, upon leaving the gut-wrenching movie experience of The Perfect Storm, our family walked into a less-than perfect Calgary, Alberta, storm. Rushing madly to our car, it felt momentarily like the whole skies had opened up and we might drown in the parking lot! Our rational side knew that 50% of our fears had been Hollywood-induced from just having seen so many watery disasters. Even so, we were glad to make it safe and sound into the watertight car. After seeing The Perfect Storm in Calgary, our next agenda was to find a nice waterproof hotel. With thunder and lightning striking on every side, we hit a massive traffic snarl. It was so bad that some trucks started driving up over the perimeter and jumping the guard rails. As we crawled through the traffic jam, we came upon a brand-new ‘lake’ that had been created by the Calgary storm right in the middle of the highway. Seeing no way out, we plowed through the ‘lake’ leaving a massive wake behind us. As we woke up the next morning safe and secure at the Best Western, we were greeted by a Calgary newspaper with front-page pictures of flooded cars that hadn’t made it through our ‘lake’. While our Alberta storm was minor compared to the tragic Red Deer tornado that hit that same week, it was enough to cause us to cry out to God ‘Help! I feel like I’m drowning’. 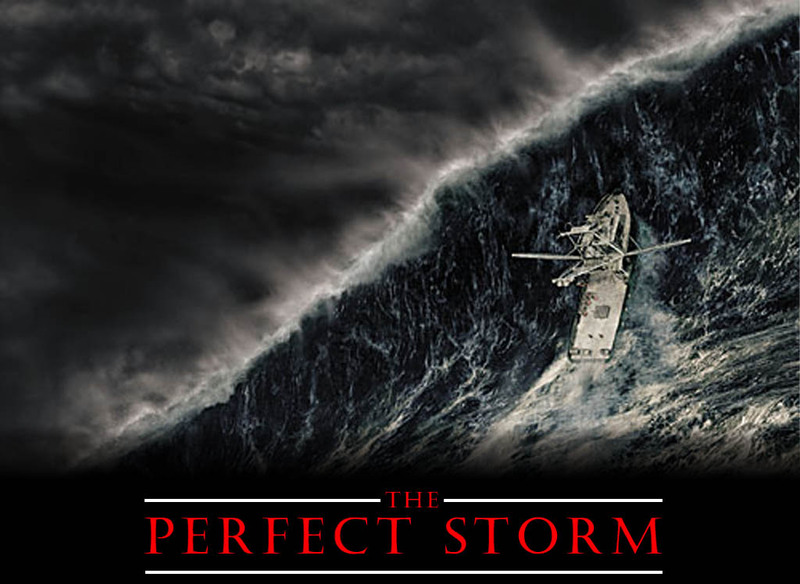 In The Perfect Storm, there was great emphasis put on realism and courage. Each of the fishermen were notably flawed and yet lovable in their own unusual way. Each of them left behind loved ones who worried each time they pulled out of the harbour. Each of the fishermen showed remarkable bravery and resilience when the chips were down. 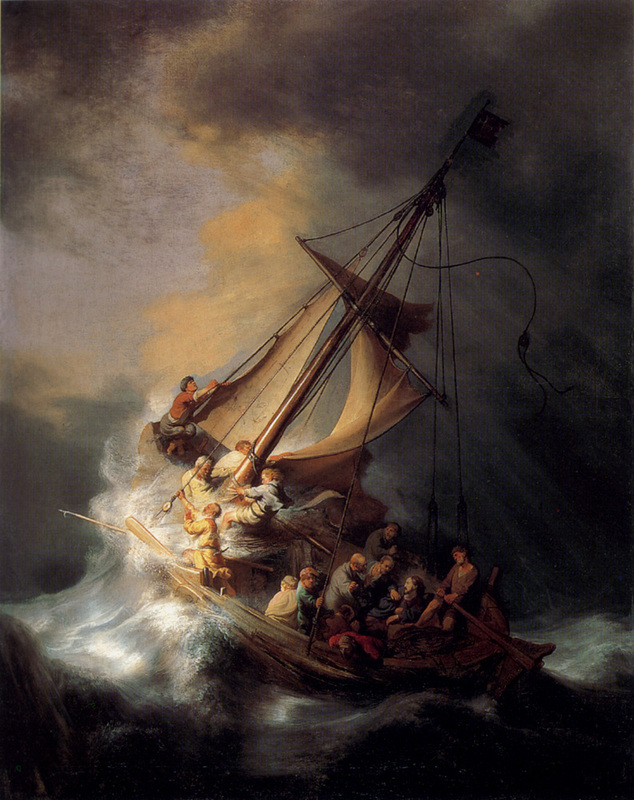 One of the most Christ-like moments in The Perfect Storm was when one fisherman selflessly risked his life for his sworn enemy. 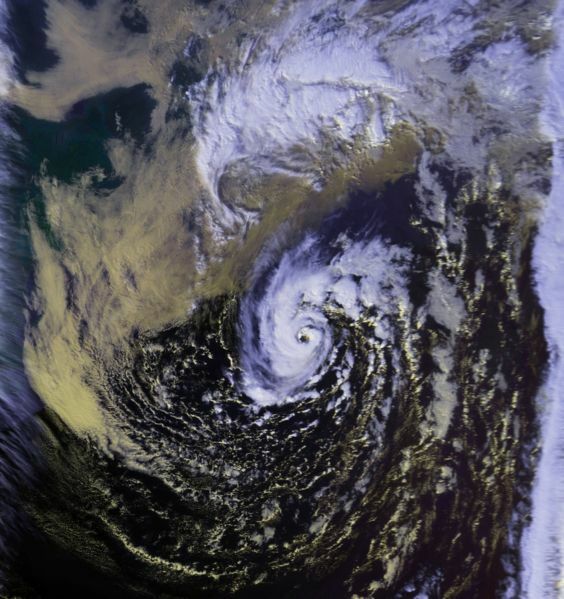 As I looked at those weather-beaten seafarers in The Perfect Storm, I was reminded of Simon Peter and his brother Andrew, James and his brother John. Most of Jesus’ earliest followers were weather-beaten seafarers on the Sea of Galilee. They were courageous, hard-bitten, and loyal. Many philosophies and religions have been dreamed up by intellectuals and academics in ivory towers. How many have been led by fishermen? My wife and I had the privilege of going a number of years ago to the Sea of Galilee. The closest thing that I can compare the beautiful Sea of Galilee to is Lake Okanagan in the BC Interior. Despite its remarkable beauty, the Sea of Galilee has many wind tunnels which can cause ugly storms to rush down from the nearby mountains with virtually no warning. In one situation, Jesus’ fishermen followers were so overwhelmed that they too cried out: ‘Help, I’m drowning’. They even accused Jesus of not caring because he was asleep in the boat. Those fishermen sounded a lot like us when tragedy strikes, when the ‘Perfect Storm’ hits our family and friends. We may sometimes wonder if God is asleep on the job. We may wonder if God really cares after all. We may fear that we will ‘drown’, that we are ‘going down for the last time’ in our families and careers. Jesus responded to the Galilee Storm by saying ‘Quiet! Be Still’, and it was so. My prayer for each person reading this article is that the Good Shepherd may speak to the storms in our lives, bringing quietness and stillness. 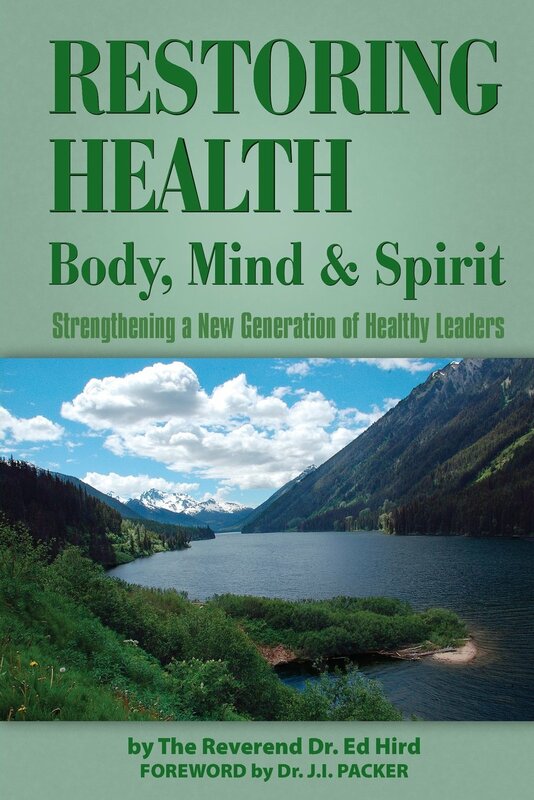 Categories: Perfect Storm, Storms, Uncategorized | Tags: Andrew, Anglican Coalition in Canada, Anglican Mission in the Americas (Canada), Battle for the Soul of Canada, BC, Best Western, Calgary Alberta, disciples, Doe God care?, fisherman, Good Shepherd, Help! I'm drowning!, James, Jesus, Jesus asleep in the boat, Jesus in a storm, John, Lake Okanagan, lifesaving team, Perfect Storm, quietness, Red Deer Tornado, Rev Ed Hird, river rafting, School Field trip, Sea of Galilee, Simon Peter, Squamish, St. Simon's Church North Vancouver, stillness, wind tunnels | Permalink.